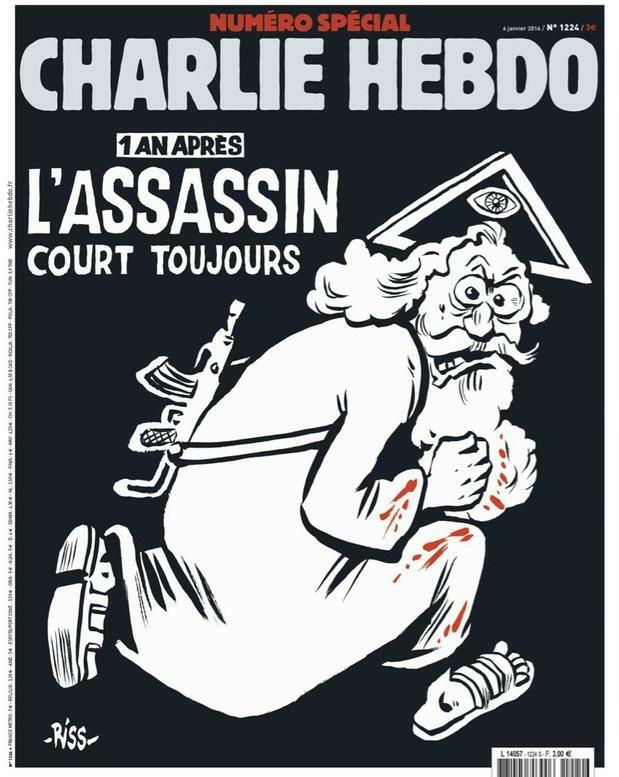 Just over a year ago, the cartooning world was shaken by the attack that killed 12 people, including five well-known cartoonists, at the offices of French satirical magazine Charlie Hebdo. The ensuing months have been packed with commemorations, commentaries, debates over the limits of free speech, and of course another devastating night of terrorist attacks that killed 130 regular Parisians going about their daily lives. Here are just a few of the one-year anniversary pieces that caught our eye last week. Michael Cavna posed that question to ten American editorial cartoonists. The consensus: not much has changed for good or ill, except perhaps that the profession now gets a bit more respect from the general public. This is the same culture we had in the time of Voltaire, it goes back to the tradition of court jesters, the fools who spoke the truth to the king. Any censorship is appalling. We can’t let radical Islamists who are trying to bring terror to the whole world set the editorial agenda. Being a cartoonist can be a risky profession these days, and support for what you do is important. So my cartoon is a warning that we should not forget how we felt last year, and to keep reminding ourselves that cartoons are important, because freedom of expression is important. With all of France still officially under a state of emergency after the November attacks, only a few thousand people ventured out to join the public commemorations this weekend. The Telegraph brought together some photos and videos from the ceremonies.